I mentioned this to Samantha, and it brought up the question: Is she too young to attend? I’m not so sure. Charlie’s quite bright for her age, she’s occasionally shown an interest in blogging, and seeing the wide range of possibility by meeting and interacting with other bloggers could give her new ideas, inspire her, generate additional interest, etc. What say you, blogosphere? Are there likely to be too many age-inappropriate topics discussed within earshot? Will she just be ignored and written off as too young to interact with, and therefore be bored and discouraged? Ask her if she wants to go. Maybe show her some talks from last year, see if she’d be interested. Make an exit strategy, maybe she can bring something to do if she gets bored so you don’t *have* to leave. She shouldn’t be written off as too young (or too female) to count, and I think if you take her it will be a good learning experience for her, and for everyone around her. 1) Does she want to go? 2) Is she capable of acting like a reasonable person if left unattended for some period of time by a parent or other responsible adult? Assuming she does want to attend, the question is: should we let her? It would likely be a pretty good experience for her, although there are a few other questions that should probably be asked before making a decision. 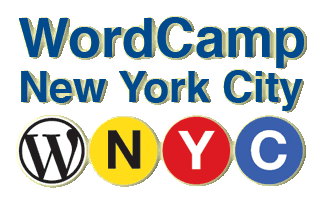 1)Have you, or someone you know, attended WordCamp previously? 2)Judging by your (or your friend’s) experience does it seem kid friendly? The last step I would do would be to contact the WordCamp people directly and see if they have any recommended minimum age. It could be rough on Charlie if she’s the only younger blogger there or if they don’t have any semi-child orientated panels/displays. Despite her level of maturity she’s still a child (and let’s admit it, your child 80P), so she’d likely be more easily bored than others would even if the content of the place is kid friendly. The other attendees could pose an issue as well, especially if Charlie is the only younger blogger, they’ll be surrounded by adults and there’ll be chance of adult language/topics being discussed at random. While it could be a great experience for her, if there’s nothing there but adult level panels and displays it might quickly get old and possibly turn her off of attending similar events in the future. What do you feed your brain?